During the start of this year the world was once again talking about the escalating tensions between India and Pakistan due to the Kashmir issue. On Feb 14, 2019, a suicide bomber from a militant group based in Pakistan attacked a convoy of Indian army, at least 40 Indian soldiers were killed, and it was the deadliest attack of this century in Kashmir region. 12 days later Indian Air Force carried out air strikes in Pakistan, the Pakistanis were able to shoot down one Indian aircraft. 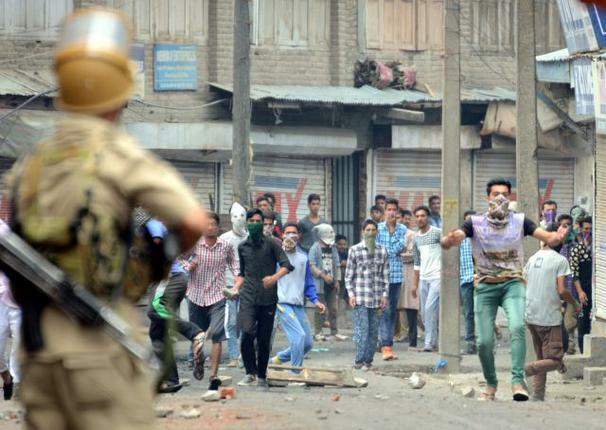 The tensions rose making Kashmir more vulnerable. 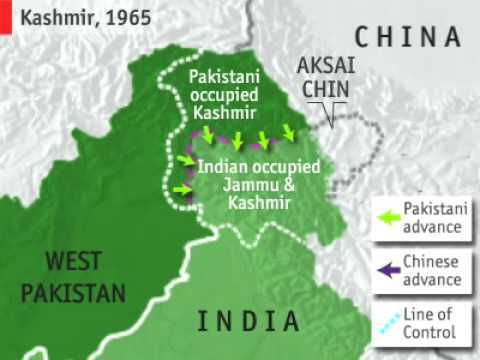 Kashmir is a complicated situation, and this article explains the conflict between India and Pakistan due to this region. Kashmir is the most disputed place on earth, since 70 years it has seen three wars between two giant armies. It is looked after by half a million Indian security forces. Also, a deadly collection of militant groups have risen in Kashmir since the course of time. In the mid 1800s, India was a land of several Provinces and Princely states under British Rule. A century later when India won independence, the English left and decided to split the region, in to two regions, one with the Muslim majority i.e. Pakistan, and one with the Hindu majority i.e. India. The partition of 1947 was bloody, and among all the chaos some princely states were given the choice to join either country. In most cases, these states obeyed the will of the people, but Jammu and Kashmir had a Muslim majority population, but was ruled by a Hindu king. So, the king decided to stay neutral. Thus, in fear that the King would choose to join India, the Muslim Kashmiri population revolted in the Poonch sector of J&K in 1947, armed Pakistanis also joined the fight, then the King turned to Indian forces for help and thus beginning the first Indo-Pak war in 1947. The UN Security Council procured to cease fire in 1949, which made the Line of Control (LOC) in Kashmir with both India and Pakistan controlling almost equal parts of Kashmir. The UN Security Council also asked the Pakistani Tribes and India forces to retreat, and asked that the fate of Kashmir shall be determined in accordance with the will of the people; but none of the two countries decided to do so and the vote was not held. Pakistan claims that the Muslim majority belongs to Pakistan, while India says that Kashmir was given to India constitutionally by the monarch of Kashmir. In 1965, the 2nd Indo-Pak war broke out, several were killed in the midst of war but the LOC was still there and no decision was made over Kashmir dispute. The 3rd war broke out between India and Pakistan in 1971, but this time it was not in Kashmir, it was in East Pakistan (now Bangladesh). In this war India helped fight rebels for independence and gave Pakistan a sound defeat, this region became a new country i.e. Bangladesh. After this Kashmir became more important than ever, it became one of the most militarized places on the planet, with both nations deploying planes, tanks, armies, artillery along the LOC. Now, in 1987 India held elections in Kashmir and PIP (Pro India Party) was declared winner, the Kashmiri’s felt that they were denied the chance to vote and an uprising began in Kashmir. 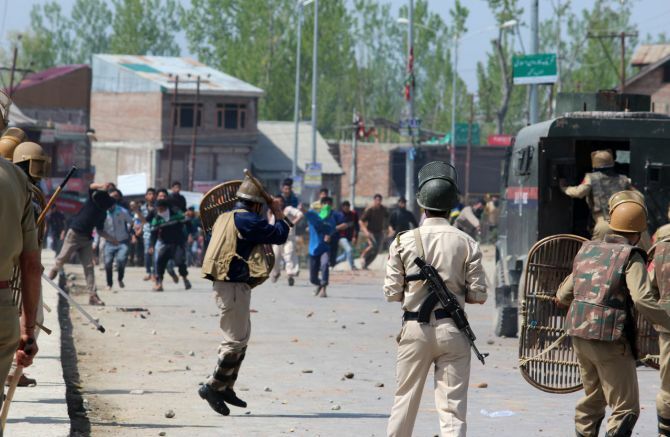 However, the uprising was suppressed strongly which resulted in more violence in Kashmir. Separatists groups started gaining light in Kashmir, and the military personnel were regularly attacked, Kashmir became a battle ground. At the same time in Pakistan, radical militia group infiltrated into Kashmir who were pro Pakistanis; the Indian government responded with increasing the security forces and by mid 90s Kashmir had almost 500,000 military personnel in the area. In 1998, both India and Pakistan conducted underground nuclear tests, becoming nuclear armed nations, sadly Kashmir remained the battleground. A year later in 1999, the 4th Indo-Pak war broke out, this was also known as the Kargil War as it was fought in the Kargil region of J&K; the war ended with another cease fire. Now, year after year Pakistan’s militant groups attacked India in other regions also; in 2001 members of Lashkar e Taiba bombed India’s parliament in New Delhi killing 14 people. In 2008, the same group killed 170 citizens in Mumbai. Meanwhile in Kashmir, The India army regularly pelted and suppressed the protestors leaving hundreds blind and wounded. Due to this several protestors join Pakistani backed groups and carry out attacks, leaving the Kashmiri citizens stuck and in danger. In 2019, Adil Ahmed Dar attacked a convoy of Indian army and at least 40 Indian soldiers were killed in Pulwama, Kashmir. According to Scroll.in, Adil faced abuse from Policeman in 2016, in the same year he was shot in the leg during a protest. A year later Adil left home and joined JEM (Jaish e Mohammad), a Pakistani supported militia group that trained him to be a suicide bomber. For more than half a century Kashmir has been seeing violence and exploitation both by India and Pakistan. 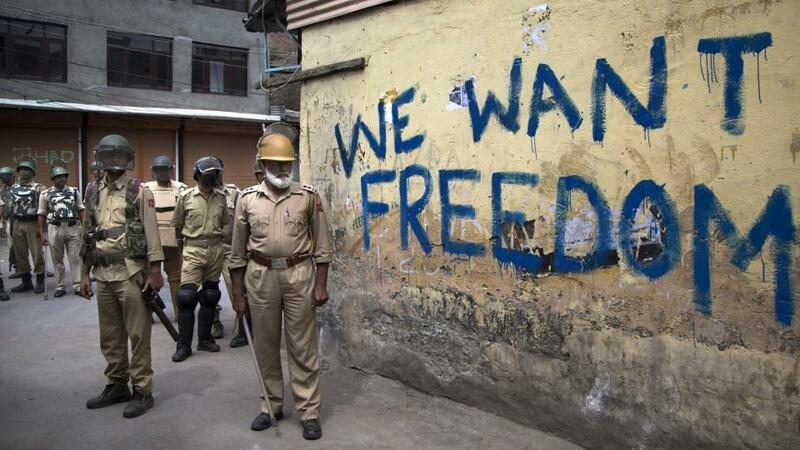 The local Kashmiris have no say in this and they consider that their future is forever darkened. People believe that the only way out of this is to hold a dialogue or referendum.